In 1874, an unimpressed art critic called Louis Leroy slammed a painting by one Claude Monet as 'impressionism' – a play on its title and a snooty reaction to the painter's experimental style. 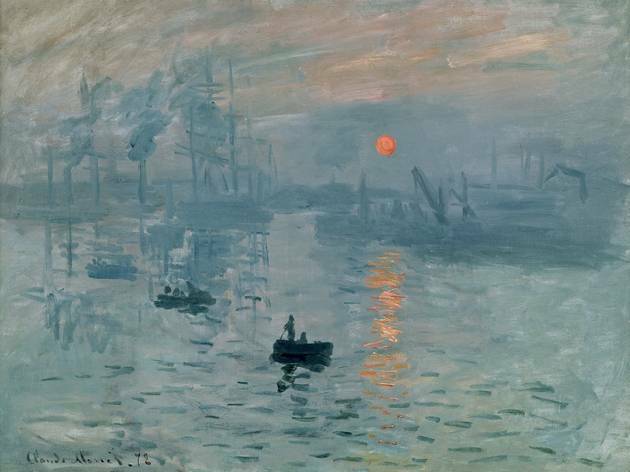 'Impression soleil levant' (1872) ['Impression of sunrise'] subsequently became a sort of manifesto for the impressionist movement, the foundational canvas for the innovations of Monet and his cohorts. 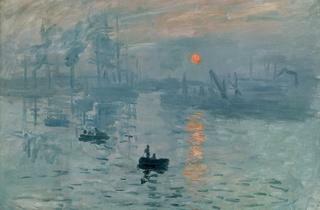 An early morning view of the port at Le Havre, the picture contains all the ingredients that made impressionism the precusor of modern art: a sketchy landscape, painted outdoors with punchy brushstrokes, with the fluid colours running into each other. The star of the collection at the Musée Marmottan-Monet, the piece certainly deserves its own exhibition, and here it is – along with 50 or so other pieces (including Delacroix, Courbet, Boudin, Turner, Renoir, Pissarro, Sisley and more) and historical documents showing the impact of the painting on the artistic world at the end of the 19th century.